We couldn’t be happier with Decking Sydney. Justin is a true professional in every sense. His workmanship is fantastic and he is very generous with his time and advice . As soon as we met him we knew we had made the right decision. If the building industry gave medals for: Design innovation, accuracy in execution, beautiful workmanship, punctuality, courtesy and value for money, then Decking Sydney would scoop the pool. Their solution for a difficult request to float an 18 square metre deck on a sloping roof 3 stories high was amazing. But to build it in a week without a hitch surrounded by glass to maximise the view was nothing short of remarkable. These boys run by their fearless leader who keeps the entire machine working seamlessly and still finds time to answer every text, deserve the reputation they have earned. They are the Best. I knew from first meeting Jamie from Decking Sydney we could expect a good experience. Everyone in his team was professional and helpful with every aspect of building our new outdoor entertaining deck. We were impressed with the quality, craftsmanship and professionalism of the tradesmen and their work. We constantly get lovely comments from whoever visits our home saying how great it looks and what a good quality job. Every interaction, start to finish, was a positive experience. Many thanks! Decking Sydney did an excellent job on our pool deck, we wanted something to really compliment what we’d done with our new pool. They came out gave us a variety of different ideas and samples and helped us plan it just the way we wanted it to look. Very happy we went with them, couldn’t have wished for it to have looked any better! Thanks guys. Their crew was courteous, prompt and they completed the project right on time. The quality of work was outstanding. Working with Decking Sydney was the most positive experience I’ve ever had with a contracting firm. I would highly recommend Decking Sydney to any of my neighbors, friends & family. Thanks for our new deck guys. Everyone involved were professional and we’re very happy with the result. Everything that was promised was completed and I would recommend Decking Sydney to anyone looking at a new deck. Blown away ! Jamie, Marvin and the team did an absolutely outstanding job. Everything from design and material recommendations to thinking outside the box to overcome those minor unexpected issues. I would recommend Decking Sydney to anyone looking for a high quality, beautiful looking and practical lifestyle upgrade. Thanks guys ! After a decision to sell my investment property with limited affordability to renovate I hired Decking Sydney. I was quoted an estimated price & they worked within these measures of affordability. Due to the workmanship and diligence of this team it has helped me increase the property market value. I will use Decking Sydney again for my new purchase. Thanks Guys. Thanks for building our deck guys. I just wanted to say that we’re all exceptionally happy with the end product. Justin, our builder, was a really nice guy and very thorough – he was always keen to ensure everything was done just right for us. Very happy to recommend your services! Yes, we’re now really looking forward to summer! Great work, was very impressed with the staff and quality of finish. Would recommend you give Decking Sydney the chance to fulfill your outdoor dreams. What an amazing transformation! We absolutely love our new deck and spend every free minute out there. The craftsmanship is wonderful, the tradesmen were prompt, courteous and capable. I high recommend Decking Sydney for all your decking needs! We needed some restorative care for our wrap around verandah. This was required following a failed DIY polishing attempt. We thought we had ruined it. The Decking Sydney team came in whilst we were away on a break and on our return the Deck looked brand new. We are delighted with the result and very comfortable to recommend the Team to anyone looking for a professional and detailed result. We would definitely use them again. We absolutely love our new spotted gum deck! The project was delivered on time with no hidden costs; Darren and the boys worked tirelessly regardless of weather. We can highly recommend Jamie and his team to create a very special space for you and your family. We were incredibly pleased with the work that Decking Sydney put into our deck, from the quote, to the finished article, a thoroughly professional experience. We’ve already had other tradespeople comment on the standard of the work and noting how strong the structure is, we’ve also had friends comment on some of the detail used, for eg; the corners of the steps, where a triangular finish catches the eye, the privacy screen and LED Lights used. Also, there were a couple of design changes required during the construction period which were both achieved with minimal fuss and great skill, one of the best parts of the job was that the work was completed by the deadline set, in spite of losing a whole day to rain. We would and in fact have already referred Decking Sydney to friends who I’m sure will enjoy the same experience that we had, all in all a brilliant job done. It gives us great pleasure to give our full recommendation to Decking Sydney for clients who desire the highest in quality workmanship and professionalism. Their attention to detail is outstanding. The crew led by Jamie arrived on time, conducted themselves with complete professionalism and friendliness from beginning to end and worked with us through our concerns. In terms of building standards, their attention to details, ability to communicate their vision, all led to them gaining our business. My wife and I want to thank Jamie and the crew for making this project so enjoyable. We could not be happier with the end result – Thank you! Very efficient, prompt service, we rang they came out the next day measured up and we had the quote emailed to us the next morning. I found them very easy to work with, as an architect I deal with tradesmen all the time, it’s refreshing to use someone who gets back to you so quickly and starts the job and finishes it without leaving to start another between! keep up the good work guys! I had Decking Sydney build our deck we wanted for our sons wedding. They were fantastic right from the get-go. Honest, upfront reliable and they finished the job right on time. Thanks guys. Job was done on time and to budget. An approachable and efficient team. Josh worked on a weekend during a very hot spell of weather to get the project back on schedule after a delay because of heavy rain. Highly recommended. Thanks to Justin he was amazing !! !Worked through all the rain and the decking is 10 out 10. Highly re commented them.They delivered everything they promised. The workmanship on our new deck was awesome so if you’re looking for a quality finish, you should definitely check out Decking Sydney. We dropped by their showroom which gave us a great idea of the different materials on offer. Throughout the project the team were flexible as we added and deleted a few elements. We valued the fact that the team are all employed rather than sub contracted and our experience reflected that. The team that worked on the deck also had some excellent ideas on the detailed finishings which we welcomed. Special thanks to Jamie, Greg and Jordan for what we thought was a fantastic job! Well organised, professional in both communication and execution. Exceeded our expectation by miles and we had high expectations! If you want to have a beautiful deck done by detail oriented professionals don’t look further! Thanks Jamie & Greg & Jordan! I have never seen people work so hard in my life. Through 40 degree days and torrential rain, Darren and his team just kept turning up and worked like mad. The result is an amazing deck on a very difficult steep block that has literally transformed the way we live. I cannot recommend them more highly. They delivered on time and on budget – I wish they did everything else too – if they had, renovating would have been a walk in the park. 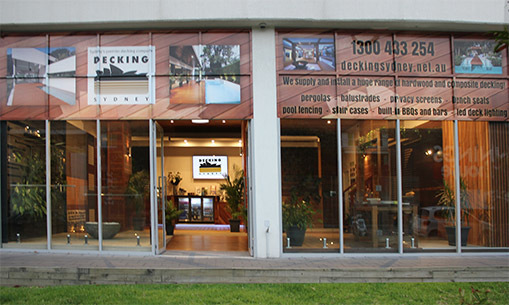 Decking Sydney were thoroughly professional from start to finish. A truly experienced and knowledgeable team that can make things happen quickly. I will use Decking Sydney for the next job I need to work on. We wanted a deck to extend our outdoor entertaining area, and I’m so glad we chose Decking Sydney. Their workmanship and customer service were first class in building our deck. I would happily recommend them to friends and family, and would use them again in the future. We were recommended Decking Sydney by our neighbors who had used them to build a roof terrace last year. We had several quotes, we found them very competitive, but what we liked the most was that their quote was very clear and easy to understand. The guys did an excellent job (even working through the rain sometimes!) We have no hesitation in recommending to anyone thinking of using them on their project. I am loving our deck! Thank you so much. We are so happy we chose you, punctual, polite, hardworking and a beautiful job you did to! When it came time to replace our tired old worn deck, we didn’t really think there was much else we could do with it, but when Decking Sydney came to look at it they came up with fabulous new design. The boys were a pleasure to have working in our backyard, they cleaned up every day, did a beautiful job and finished 2 days earlier than expected! Overall, I would say to anyone give these guys a call you won’t regret it! Exceptional service and care. Thank you so much Jamie for being so professional, attentive, efficient and true to your word. Awesome team!! !